Weight loss shakes also known as meal replacement shakes are popular among athletes and people who want to get or stay lean. They are used to fulfill high-nutrition requirement and save time to prepare healthy food. They are also favored by athletes to fulfill their nutritional specific diets. Weight loss shakes are not magical liquid to transform your body in one night. Instead, they help you to by providing the right amount of nutrition’s so you can avoid those extra calories. With the right exercise and nutrition’s, you can achieve your goal more easily and faster. Every human body is different and they require different nutrition’s. Therefore choosing the right weight loss shakes supplement is very important. Some people may need more calories whereas others need more nutrition or protein. Women may need more biotin whereas men require more vitamin D. For athletes, meal replacement shakes should have enough carbs. What Are Weight loss or Meal Replacement Shakes? What does meal replacement shakes consist? How meal replacement shakes work? As we discussed above everyone’s body requirement of nutrition is different. We found some of the best meal replacement shakes for weight loss, weight gain, men, women, athletes and elderly below. In hurry? no problem, we compiled the list of best meal replacement shakes in short. For the complete review of products in the list check below. This weight loss shake by “310 nutrition” has 90 calories per serving. It consists of 7 grams of carbs, 15 grams of protein and 1.5 grams of fat. 310 shake promote muscle growth and controls hunger with its triplex blend of proteins. This also contains probiotics and the good amount of fiber and protein. It also includes 30% of most required minerals and vitamins. It comes in 3 flavors and consists of no artificial ingredients. On the downside, it’s expensive and has a low amount of potassium. This shake is also low in fat and carbs. This meal replacement shake by “Idealshake” has 100 calories per serving. It consists of 10 grams of carbs, 11 grams of protein and 2.5 grams of saturated fat. Ideal shake meal replacement shakes is low in calories and consist of digestive enzymes for better nutrient absorption. It also includes about 75% of the RDI of 22 minerals and vitamins. It comes in 12 flavors so you have the number of options to choose from. On the downside, it contains artificial ingredients and allergens. It is also low in some minerals and potassium. At the time of publishing, this article cost per serving is 1.63 dollars. Total lean shake is the meal replacement shakes by GNC which is popular supplement brand worldwide. This low-calorie shake is especially focused on those who want weight loss shakes. According to manufacturer per serving are 2 scoops (48 grams) have 180 calories. Per serving have protein (9 grams), fiber (8 grams) and 2 grams of fat. It also consists of 30% of the RDI of most minerals and vitamins. On the downside, it is low in vitamin D, Vitamin K, magnesium and potassium. Also, it contains artificial ingredients which some people do not prefer. GNC total lean shake comes in 8 flavors and detailed diet and exercise program. Nature’s Bounty Optimal Solutions protein and vitamin shakes are particularly popular among women because of biotin. It consists of Vitamin E for skin and biotin for healthy hairs and nails. It also a good dosage of soy protein isolates and the right amount of carbohydrates. According to manufacturer per serving are 2 scoops (33 grams) have 110 calories. Per serving have protein (15 grams), fiber (4 grams) and 2 grams of fat. It consists of 100% of the RDI of 9 vitamins. 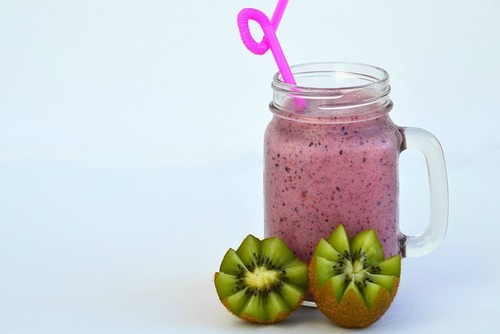 It also consists of 200% of the RDI of vitamin D.
With a lot of vitamins, probiotics, calcium, and biotin, this shake is nutritious and inexpensive. On the downside, the amount of minerals and collagen is low. Also, it is low in calories and fat as compared to typical meal replacement shakes. Isagenix Isalean is promoted as complete meal replacement shake and consist of 24 grams protein, 23 grams of minerals and vitamins and fiber ( 8 grams). According to manufacturer it’s clinically tested to promote lean muscle building and healthy weight loss. According to instructions per serving are two scoops (61 grams) have 240 calories. The Isalean shake consists of 11% of the RDI of sodium and 15% of cholesterol. On the downside, it has no vitamin K and very less RDI of potassium and iron. It is also expensive than the regular meal replacement shakes. The highlight of this product is of digestive health. It has various digestive enzymes which promote absorption and has multiple health benefits. Isalean shake is free of soy, gluten or any artificial ingredients. Tsoga classic is one of the best meal replacement shakes for weight gain healthily and productively. According to the company, their complete food replacements shakes provide healthy fats, micronutrients, carbohydrates, and dairy proteins. It’s per serving is of 92 grams (two scoops) with total calories of 430. It consists of 46 grams of carbohydrates, 19 grams of protein and fat (19 grams). This meal replacement shake for weight gain has an impressive amount of minerals and vitamin and zero cholesterol. The Tsoga meal replacement shake is inexpensive with the right amount of nutrition. There is no soy, gluten or dairy but it contains an artificial sweetener. This meal replacement shake by Ample has the right amount of micronutrients and calories. Ample meal replacement shake also tastes good, has a significant focus on digestive health and healthy weight gain. Ample comes in 2 different packagings with 400 and 600 calories. In 600 calories Ample bottle has 35 grams of carbs (6 grams sugar, 14 grams of fiber), 36 grams of protein, and fat (35 grams). In micronutrients, it consists of 25% RDI of vitamin D, calcium and magnesium. It also comprised of 8% RDI of iron and 10% of potassium. The excellent balance of proteins, fat, carbs, and fiber in Ample ensure that you don’t feel hungry. The number of probiotic bacteria in ample make it a good option if you are looking to promote gut health. On the downside, Ample is pricy, and there is no mention of omega three fatty acids. It is also not very rich in vitamins. This ketogenic meal replacement shake by Ample consist of calcium, magnesium, iron and vitamin D. As Ample K is keto friendly which means it is low in carbs but high in fat. Ample K comes in 400 and 600 calories version. You need to fill the Ample K bottle with water, shake it and drink. The 600 calories version of this keto drink contains 19 grams of protein, 50 grams fat (of which 33 grams is saturated fat) and 22 grams of carbs. Out of 22 grams of carbs, 3 grams is sugar and 13 grams fiber. Ample K includes 40 billion CFU of Probiotics for improving digestive health. It is also low in Omega 6 and made of all natural ingredients. On the downside, it is pricy as compare to other keto drinks in the market and there is not much info about antioxidants in packaging. Kegenix brand is famous in keto products and uses Dom D’Agostino’s patent for exogenous ketones in keto meal. According to nutrition facts, one serving is of 2 scoops (36 grams) and consist of 150 calories. In one serving, there are 10 grams of protein, 3 grams of fiber, 5 grams of net carbs, and fat (10 grams with three grams of saturated fats). It also consists of 25% RDI of 21 minerals and vitamins, 10% RDI of potassium and 17% of sodium. Exogenous ketones help in providing energy. Keto meal does not contain artificial sugar, antibiotics, hormones or sugar. It’s also low on calories with a total of 150 out of which 40 is from protein. On the downside, for the primary source of fat in keto meal is sunflower oil and it doesn’t taste good. Primo smoothie by Field work nutrition has high-quality nutrition with natural ingredients. Most of the ingredients in the primo smoothie are organic and free from gluten and soya. Per serving is of 2 scoops (52 grams) has 200 calories. It consists of 18 grams of carbs (4 grams sugar, 5 grams fiber), 20 grams of protein, and 5 grams of fats. There is not much variety of micronutrients but impressive 150% of the daily intake of iron and 60% of daily absorption of calcium and magnesium. It also contains 500% of the daily intake of vitamin E and vitamin D.
For digestive health, it contains the right amount of prebiotics and digestive enzymes. On the downside, the primo smoothie is low in carbs and sodium. It is also a little expensive, but its effectiveness, quality of nutrition’s and taste can justify its price. Vegan meal replacement shake by Huel delivers quality fibers and protein with minimal sugar from real food. Its serving size of 127 grams which around 500 calories. Per serving consist of 47 grams of carbs ( 9 grams fiber, 1 gram sugar), 37 grams of protein, and 16 grams of fat with zero cholesterol. It has an impressive amount of micronutrients with 25% daily intake of most of the nutrients. Huel shake has 40% RDI of magnesium, 70% of selenium and 80 % of vitamin C. Overall it consists of 28 different minerals and vitamins including sodium. Since this product is vegan, it contains omega-3 from a plant-based source. It also consists of omega-6 and has a good ratio of 1:3 with omega-3 and omega-6. On the downside, Huel has artificial sweeteners and flavors. İt also has gum, which some people do not prefer because of digestive issues. One bottle (237 milliliters) of boost original has around 240 calories. It consists of 41 grams of carbohydrates ( 3 grams fiber, 20 grams sugar), 10 grams of protein, and fat ( 4 grams). Boost original has an impressive 28 micronutrients with 30% RDI of most of them. It also includes 100% RDI of Vitamin C, 60% RDI of Vitamin D and vitamin K and chromium. On the downside, it has only 10% RDI of potassium, chlorine, and chloride. Boost original has prebiotic fibers to promote digestive health. These prebiotic fibers help in the growth of beneficial bacteria’s living in the gastrointestinal tract. It is nutritious, inexpensive and tasty drink. Boost original is high in sugar, has a low amount of protein and contains soy and artificial flavors. Meal replacement shakes are a healthy alternative for your regular food. They consist of all the required nutrition’s and can be used for weight loss and weight gain in a healthy way. With meal replacement shakes you can control your calories intake more effectively as compared to the regular meal. There are various meal replacement shakes in the market for different needs as we discussed above. You can choose the one from above which fulfills your goal. There is current debate relate to meal replacement shakes out there. Is it reasonable to replace every meal with powder? This is hard to answer, but in general, you can replace any meal, but you should not replace every meal. I use meal replacement shakes for only one meal of the day. It helps me to maintain the required nutrition and limits my intake of calories. Please note Shopbirdy content is for general information. You should consult your health professional or qualified medical professional for more details. In general, meal replacement shakes consist of three macronutrients combination. Except for some instances, they have a mix of fats, carbohydrates, and proteins. There are five essential minerals for humans such as calcium, potassium, magnesium, sodium and phosphorous. Usually, our body gets these minerals from regular food. Minerals are necessary to perform vital functions in the body, for growth and to stay healthy. Good quality meal replacement shakes consist of the required quantity of minerals as mentioned earlier. There are 13 essential vitamins needed for the proper functioning of human metabolism. Weight loss shakes usually consist of the required dosage of these vitamins. Fibers are of two types soluble and insoluble. These both types are essential for our digestive health. Our body cannot synthesize fatty acids on its own. Fatty acids are necessary for mental health and immunity. Meal replacement shakes have fatty acids such as omega 3 and omega 6. They are usually found in plants and have many health benefits. Our body doesn’t require them for survival, but some phytochemicals such as catechins can lower risks of diseases. Nutrients: Preparing regular healthy meal can be a little hard. With meal replacement shakes you can control and check your nutrient intake more accurately. Weight loss: Regular exercise with the right meal replacement supplement can help you to reduce weight or stay lean more easily. They give you the right amount of nutrients to lose weight healthily. Saves time: Preparing meal three healthy meal of day can is time can be time-consuming. So why not replace one of them with meal replacement shake. With this, your body receives required nutrition and saves your time too. Better than fast food or skipping a meal: Both skipping meal and consuming fast food regularly affects your health and functioning. Weight loss shakes are the simple, secure and healthy alternative to make sure you live healthily. They don’t have any Trans or saturated fat as in your regular burger and fries. Not long term solution: As we mentioned above meal replacement shakes can replace any meal but should not replace every meal. I prefer to replace only one meal of my day with these shakes. Price: Good quality meal replacement shakes are expensive. They consist of all the required nutrition of the body and made after a lot of research. The average cost per serving of high-quality meal replacement supplement is around 2.5 dollars. Ingredients: Some meal replacement shakes may contain artificial flavors, preservatives, and sugar. Make sure to check ingredients on packaging and buy according to your body requirement. We have mentioned some of the best supplements above for weight loss, Men, women, diabetics, athletes and breakfast. Some studies have found that diet shakes are as effective in triggering fat loss as more traditional diet plans. The researches likewise found that dieters were a lot more positive concerning diet trembles compared to conventional diet plans. This is as a result of the remarkable comfort included with the shakes. There is considerably less time invested with quick shakes compared to making a whole meal. Protein weight loss shakes are also very efficient jump beginning weight-loss programs. They benefit the objective of keeping tighter control on calories and for females that have to stick to a rigorous calorie-control fat loss program. Ladies who cannot depart even a little from a calorie quota numerous take advantage of the diet regimen shake method to fat burning. Typically, any shake will certainly not function unless the dieter is consuming fewer calories than they burn daily. Dieters are encouraged to set a calorie allocation for their weight-loss plan. This plan needs to consist of exercise, which promotes healthiness and advertises weight control. Check out, some of the best-rated body fat scales here. Weight loss shakes are a sort of meal substitute that helps when a dieter does not have the motivation or time to ready dishes that foster fat loss. They are likewise practical for those who do not intend to spend a great deal of time identifying the calories in their meals. Weight loss shakes are a secure, efficient, and hassle-free method to lose weight. The proper diet shake can raise metabolic process by 25 percent. When a person is attempting to lose weight, they must not bypass breakfast. Consuming a diet shake in the morning is a reliable way of changing that meal. A dieter’s physical body will obtain the nutrients it needs and gets an improvement to the metabolic rate. Another benefit of fat burning shakes is that they keep a dieter’s blood sugar level levels in control. Many individuals who bypass dishes locate the method backfires when their blood glucose levels collision, inducing appetite. This is when an individual often overcompensates by overeating. They often discover that they finish up consuming much more calories compared to if they had adhered to their healthy diet regimen. The results have been amazing, and individuals were not only losing weight, yet decreasing their cholesterol levels and losing pounds by merely consuming this throughout a day. Meal replacement or weight loss shakes are easy and quick to prepare. They come in powder form and can be mix with water or milk. They can be consumed to replace any meal of the day and provides your body required nutrition’s. Weight loss shakes also help you to control the intake of calories and help you healthily lose weight.